We just have one set of socks at our house. There are 40-60 of them. All. The. Same. No matching. No strays. No kidding. Daylight savings started as a joke by Benjamin Franklin and when my husband outlined this idea 15 years ago I laughed at it too. But he wasn't joking. He's an engineer. It's hard to tell when he's joking. 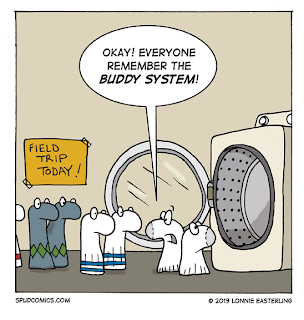 individualization of socks. Now I look for short socks without gender-coded words on them. If there are socks left at the gym, I never know. 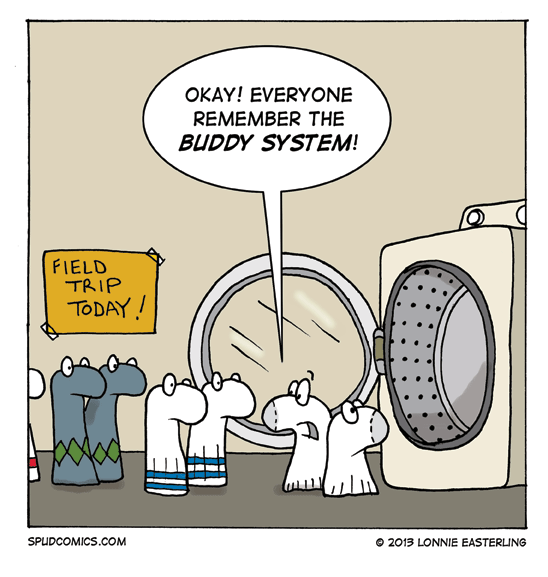 Socks at their friends' houses? I never know. If there is one that doesn't match, it's not ours. It is the mono-cropping of socks. Low maintenance. My relatives have done less eccentric things than this and I made fun of them. The socks are getting worn out and it's time to buy another batch. It will be an up-front cash outlay, but an investment that pays dividends in time. I have freed up half an hour a week. I probably didn't need the accounting degree if my job is to match socks. 100% sure the housewives in my hood have made fun of me for things less unusual than uni-gender socks. Right before they unfriended me. They are still spending their time matching socks. Now who's laughing? Wait, did you have a gardening question?